Photo: George Marable House, ca. 1925, 482 Orange Avenue, Yuma, AZ. Listed on the National Register of Historic Places in 1982. Photographed by User:Cbl62 (own work), 2014, [cc-by-3.0 (creativecommons.org/licenses/by/3.0)], via Wikimedia Commons, accessed January, 2015. 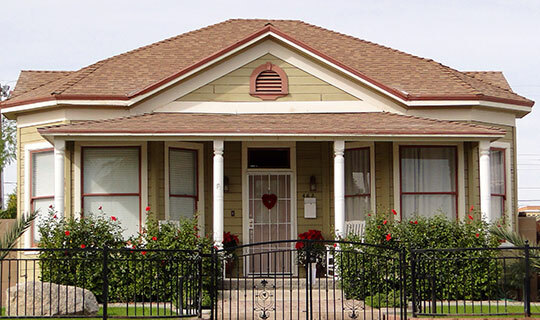 Yuma County administrative offices are located at 198 South Main Street, Yuma, AZ 85364; phone: 928-373-1010. Created by the Arizona Territorial Legislature, Yuma is one of four original Arizona counties. La Paz County was taken off in 1982. The first county seat was at La Paz; it was moved to Yuma (then called Arizona City) in 1873.